This year we have introduced a new online resource called MyBookBlog to all classes from Year 2 to Year 6 to promote and develop children’s love of reading and to encourage them to read more widely for pleasure. Introduce books with passion – what they read today, our pupils will read tomorrow. MyBookBlog is designed to enhance children’s journeys through well-loved stories. 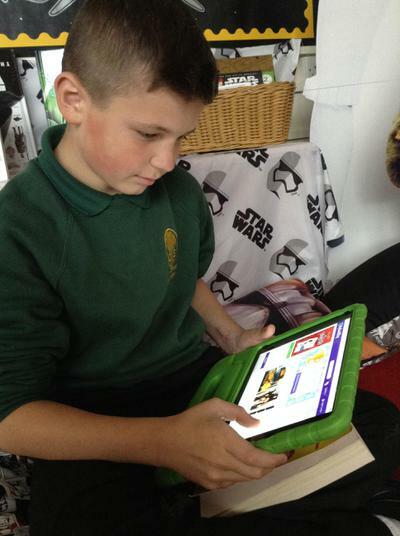 It supports children to choose fantastic books, available from our school library and bookshops, using blurbs, trailers, reviews and ratings from other children. Our children can then read their chosen book at home or at school and complete the activities on MyBookBlog. The activities on MyBookBlog encourage children to blog about their thoughts and feelings and explore the subject matter. The activities also support them to fully comprehend the text they are reading and learn new vocabulary. As children read, their homepage grows. As they collect favourite words, facts, cards, maps and timelines, and share their thoughts in their blog; their homepage becomes a record of their reading journey. Read specially written blurbs for the book. Each book has two different blurbs.The first blurb outlines the book’s subject matter.The second reveals the main themes eg survival, love or revenge. Watch a short, enticing trailer about the book. Read reviews from other children . View information about the level of challenging vocabulary provided in a specific book and see information about the length of the book. Answer questions that encourage them to explore their understanding of the story. Relate the book to their own experience. Support them to make predictions. Encourage thought about moral dilemmas. Evaluate the message in the story. Each book begins with a blog helper. Children use a multiple choice format to structure their response and get them started, which is replaced by a sentence starter later on. Teachers and children have an online dialogue through blog entries. Check child-friendly definitions for the vocabulary in each chapter. Use the glossary to check unfamiliar vocabulary as they read. Choose their favourite vocabulary to display on their homepage. Understand the key points in the plot. Have considered the characters choices and motivations. Can make predictions about what happens next. Have paid attention to clues given by the author. At the end of a book, children can then vote on key issues raised by the story. After casting their vote, the website reveals how many children selected the same option. Understand more complex issues explored by the author. Learn about new subject matter. Build on their general knowledge. 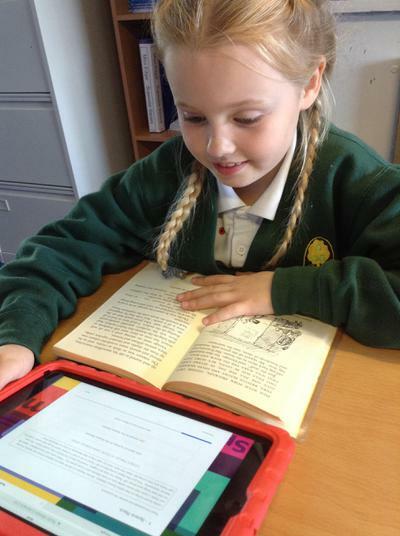 Children are able to view their reading journey on their homepage. The more they read, the more content they will have on their homepage. The collectable cards link to a timeline and a map. At the end of a book, children are then given the opportunity to rate, review and recommend the book. This allows children to consider other’s views when making book choices. Teachers approve children’s reviews before they are published. When children have finished a book, MyBookBlog gives them a smart recommendation for a new read. 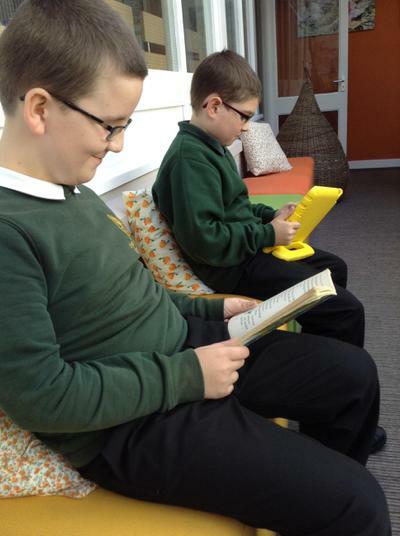 Finally, a quote from the founders of MyBookBlog, Ruth Miskin and Natalie Boon, sums up perfectly the importance of reading and highlights why it is given the highest status in Orgill Primary School.